I love Henri Nouwen. I love this quote. I only just found it this past week while listening to a lecture for my counseling course, so I haven't ever read the book this comes from, Making All Things New. Have any of you read it? 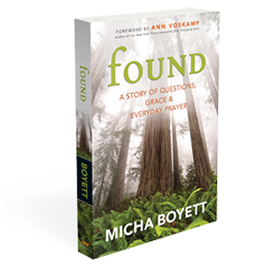 I'm also loving how beautifully this fits with my book and the idea of "Everyday Prayer." Happy Friday and happy last day of February, friends!